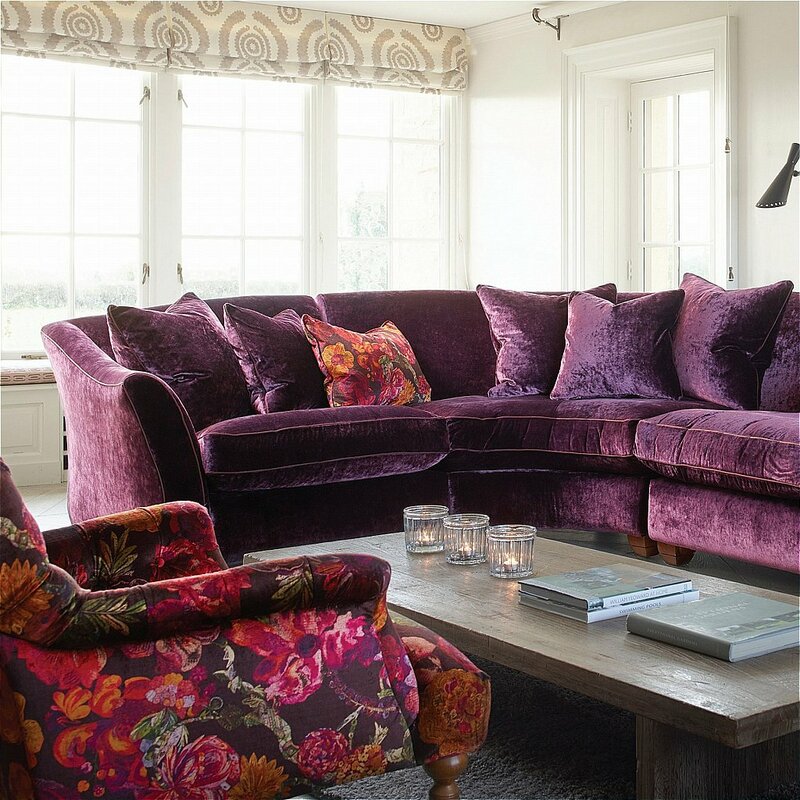 Chic and glamorous Darcy has a marriage made in heaven with luxurious Glamour velvet. The perfect combination. Traditionally upholstered comfort of a hand stitched coil spring system made from premium British steel. Deep Extra-life fibre seat cushions and curved high tensile Supaloop sprung foam back. Hardwood feet in a choice of colours. Includes two feather scatter cushions. Feet: Solid ash feet, hand finished in dark walnut. I would like more information about Darcy Corner Sofa by Westbridge Furniture.